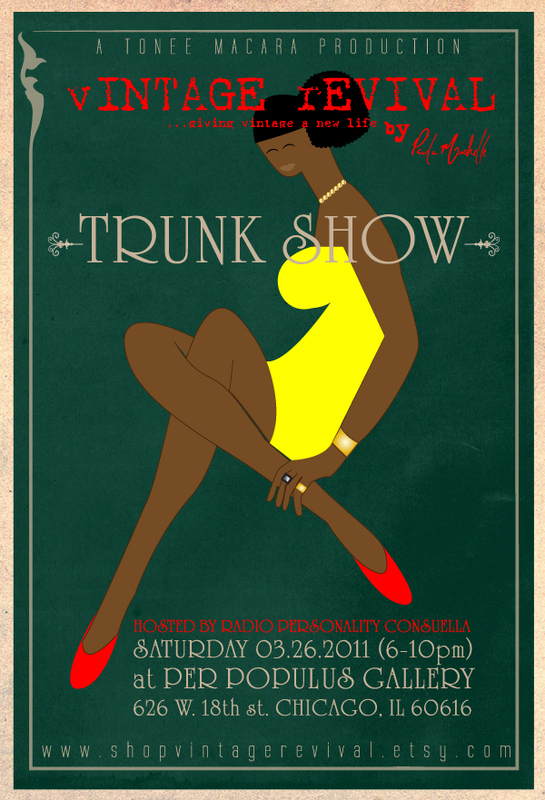 301 moved permanently ChiTown Fashionista: vINTAGE rEVIVAL Trunk Show - THIS SATURDAY! vINTAGE rEVIVAL Trunk Show - THIS SATURDAY! Join jewelry designer Paula Michelle Saturday March 26th for a peak into creative prowess at her first trunk show for vINTAGE rEVIVAL at Per Populus Gallery, 626 W. 18th Street. The emerging jewelry designer will have her Fall 2011 Collection displayed from 6PM-10PM, complete with complimentary wine bar and hosted by radio personality Consuella Williams. RSVP is appreciated (vintagerevival@hotmail.com) but not required. Visit http://www.shopvintagerevival.etsy.com/ to get a sneak peek at Paula's amazing work! If you are looking something worth for weddings, such us men ties, bow ties and etc for weddings. Just go to the site.....of http://www.discount-quality-ties.co.uk/mens-ties-c-1.html.They are selling really nice stuff. "Rock the Red" Ticket Giveaway Winner! !